Since 1981, hundreds of thousands of students have gained real-world skills while selling CUTCO. Today, our collegiate partnerships are stronger than ever. Several prestigious universities offer higher-level sales and marketing courses based on the principles of the CUTCO sales program. The students in these courses learn sales theory in the classroom and then apply what they have learned in the "real-world" by selling CUTCO. This approach provides vital exposure to experiences that will give them an edge as they move on with their lives and future careers. In fact, many executives at major corporations have shared with us that when they see experience with Vector Marketing on a resume, that resume jumps to the top of the pile. Those students who learn to sell CUTCO in the classroom either earn a commission or have the chance to make a lasting change in someone's life by donating the proceeds to charity. Selling Smiles is a program developed by Professor Derek Hassay at the University of Calgary, which gives students the chance to apply classroom concepts by selling CUTCO to raise funds for the Children's Wish Foundation of Canada. To date, students have raised more than $225,000 for the program and have fulfilled 13 wishes! Several textbooks and academic papers have published case studies on us from a variety of angles - from our marketing channels to our recent efforts to go green in manufacturing. See List of Textbooks and Academic Papers that Reference Vector. Our reps have earned between 1 - 15 academic credits for what they learn and do while working here. The number of credits depends on the positions they hold, the school they attend, their major, among other factors. Check with your school to see if you can earn internship credit while selling CUTCO. Current reps, check out VectorConnect for more information. 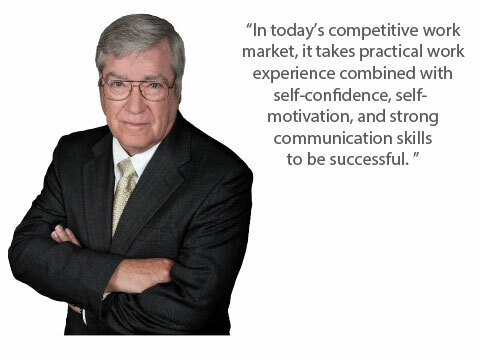 Our Academic Advisory Board consists of leading professors in the fields of sales and marketing. They provide advice and counsel to our executive leadership regarding important trends in marketing education and campus recruiting. University of Calgary students raise money for Children's Wish of Canada in Dr. Derek Hassay's marketing class by selling CUTCO®. 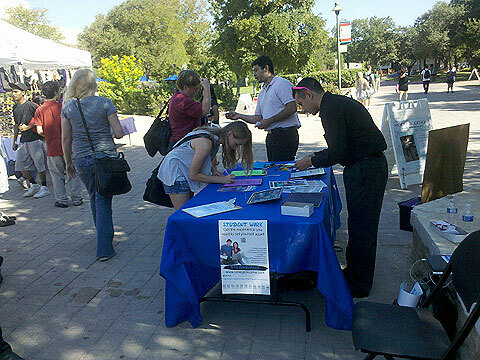 Southwest District Managers work with applicants at San Antonio College.